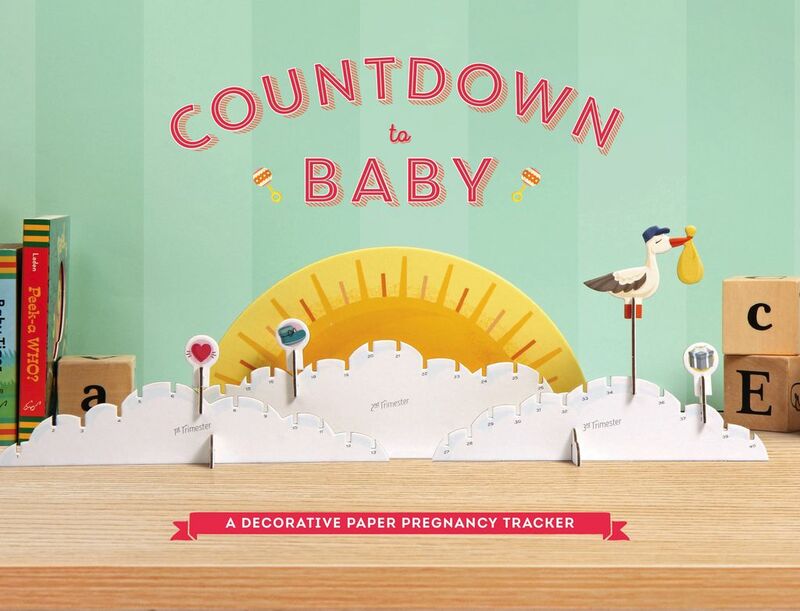 Countdown to Baby is a decorative paper pregnancy tracker that provides the mom-to-be with an exciting reminder of how far shes come in her pregnancy and how soon her baby will arrive. Each week, the mom-to-be moves the stork one notch closer to her due date. With charms to mark first kick, gender reveal, baby shower, and more, the mom-to-be can decorate every step of her journey. Perfect for displaying on a dresser, desk, or in the soon-to-be occupied nursery, its as pretty as it is fun to use, offering instant inspiration to the mom-to-be and bringing an exciting weekly countdown ritual into her life.